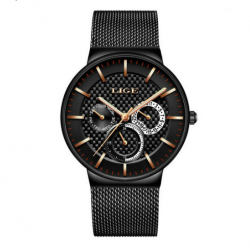 Style: Business, Casual Brand: LIGE Gender: Men Movement: Quartz Dial Display: Analog Function: Week Display, Moon Phase Watch Band Material: PU Dial Window Material: Glass Case Shape: Round Case Material: Alloy Size:Dial Diameter: 43mmBand Width: 22mmBand Length: 220mmCase Thickne.. 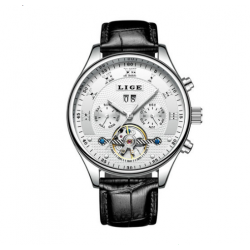 Style: Business, Casual Brand: LIGE Gender: Men Movement: Quartz Dial Display: Analog Function: Water Resistant, Auto Date Watch Band Material: PU Dial Window Material: Glass Case Shape: Round Case Material: Alloy Size:Dial Diameter: 42 mmBand Width: 22 mmBand Length: 230 mmCase Thickness: 12 mmWeig.. 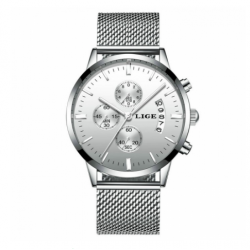 Style: Business Brand: LIGE Gender: Men Movement: Quartz Function: Water Resistant, Auto Date Watch Band Material: Stainless Steel Dial Window Material: Glass Case Shape: Round Case Material: Alloy Size:Dial Diameter: 40 mmBand Width: 21 mmBand Length: 210 mmCase Thickness: 12 mmWeight: 135g/ PCS.. 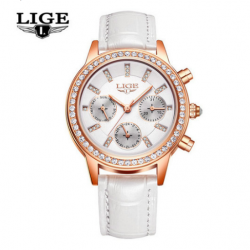 Style: Casual Brand: LIGE Gender: Women Movement: Quartz Dial Display: Analog Function: Week Display, Water Resistant, Auto Date Watch Band Material: PU Dial Window Material: Glass Case Shape: Round Case Material: Alloy Size:Dial Diameter: 34.4 mmBand Width: 16 mmBand Length: 220 mmCase Thickness: 1.. 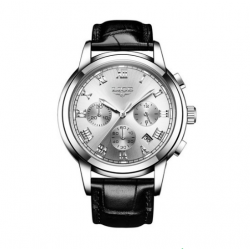 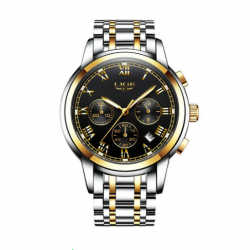 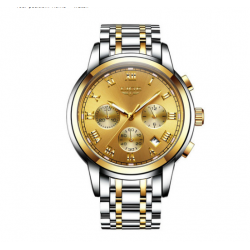 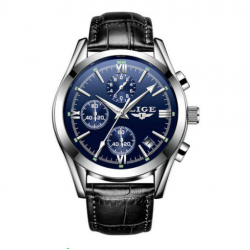 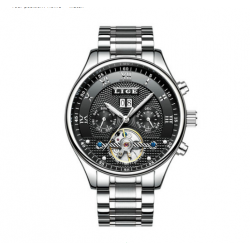 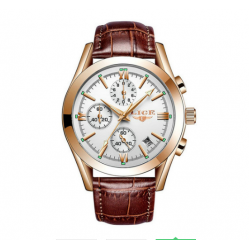 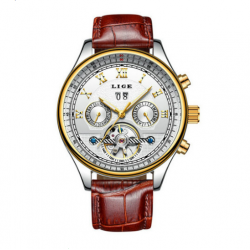 Style: Casual Brand: LIGE Gender: Men Movement: Quartz Dial Display: Analog Function: Water Resistant, Chronograph, Auto Date, Stop Watch Watch Band Material: Stainless Steel Dial Window Material: Glass Case Shape: Round Case Material: Alloy Size:Dial Diameter: 43 mmBand Width: 22 mmBand.. 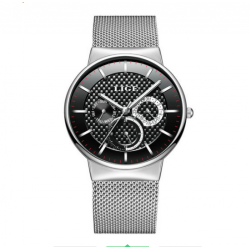 Style: Casual, Sport Brand: LIGE Gender: Men Movement: Quartz Dial Display: Analog Function: Water Resistant, Auto Date, Stop Watch Watch Band Material: PU Dial Window Material: Glass Case Shape: Round Case Material: Alloy SizeDial Diameter: 42 mmBand Width: 22 mmBand Length: 230 mmCase Thickness: 1.. 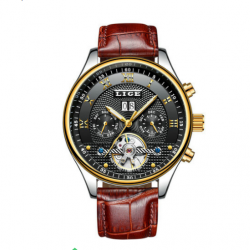 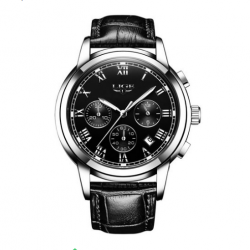 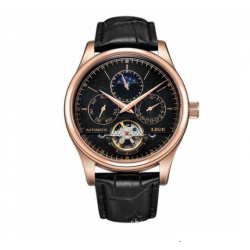 Style: Business, Casual Brand: LIGE Gender: Men Movement: Automatic Self-Wind Dial Display: Analog Function: Week Display, Water Resistant, Auto Date Watch Band Material: PU Dial Window Material: Glass Case Shape: Round Case Material: Alloy Size:Dial Diameter: 40 mmBand Width: 18 mmBand Length: 240 .. 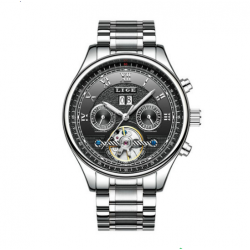 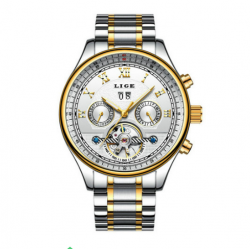 Style: Casual, Sport Brand: LIGE Gender: Men Movement: Automatic Self-Wind Dial Display: Analog Function: Week Display, Water Resistant, Auto Date Watch Band Material: Stainless Steel Dial Window Material: Glass Case Shape: Round Case Material: Alloy Size:Dial Diameter: 40 mmBand Width: 18 mmBand Le.. 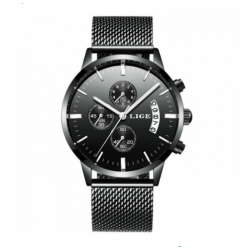 Style: Casual Brand: LIGE Gender: Men Movement: Automatic Self-Wind Dial Display: Analog Function: Week Display, Water Resistant, Auto Date Watch Band Material: PU Dial Window Material: Glass Case Shape: Round Case Material: Alloy Size:Dial Diameter: 40 mmBand Width: 18 mmBand Length: 225 mmCase Thi.. 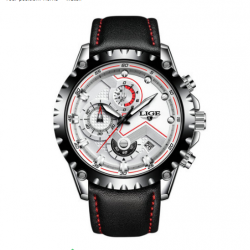 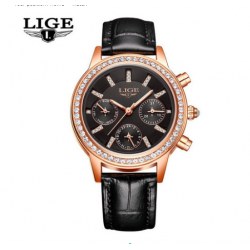 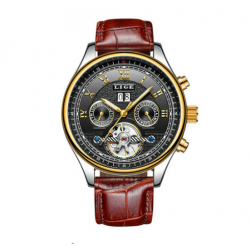 Style: Business Brand: LIGE Gender: Men Movement: Automatic Self-Wind Dial Display: Analog Function: Week Display, Water Resistant, Auto Date Watch Band Material: Stainless Steel Dial Window Material: Glass Case Shape: Round Case Material: Alloy Size:Dial Diameter: 40 mmBand Width: 18 mmBand Length:.. 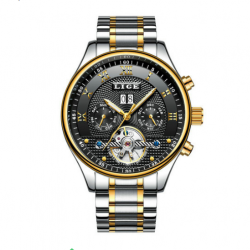 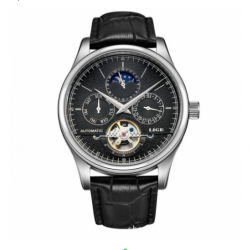 Style: Business, Casual Brand: LIGE Gender: Men Movement: Quartz Dial Display: Analog Function: Week Display, Water Resistant, Complete Calendar Watch Band Material: Stainless Steel Dial Window Material: Glass Case Shape: Round Case Material: Alloy Size:Dial Diameter: 40 mmBand Width: 20 mmBand Leng.. 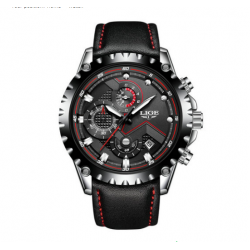 Style: Casual, Sport Brand: LIGE Gender: Men Movement: Quartz Dial Display: Analog Function: Water Resistant, Auto Date, Stop Watch Watch Band Material: PU Dial Window Material: Glass Case Shape: Round Case Material: Alloy Size:Dial Diameter: 41 mmBand Width: 20 mmBand Length: 240 mmCase Thickness: ..